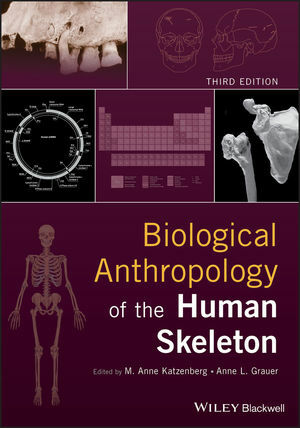 Now in its third edition, Biological Anthropology of the Human Skeleton has become a key reference for bioarchaeologists, human osteologists, and paleopathologists throughout the world. It builds upon basic skills to provide the foundation for advanced scientific analyses of human skeletal remains in cultural, archaeological, and theoretical contexts. This new edition features updated coverage of topics including histomorphometry, dental morphology, stable isotope methods, and ancient DNA, as well as a number of new chapters on paleopathology. It also covers bioarchaeological ethics, taphonomy and the nature of archaeological assemblages, biomechanical analyses of archaeological human skeletons, and more. Covering the latest advanced methods and techniques for analyzing skeletal and dental remains from archaeological discoveries, Biological Anthropology of the Human Skeleton is a trusted text for advanced undergraduates, graduate students, and professionals in human osteology, bioarchaeology, and paleopathology. M. Anne Katzenberg, Ph.D., is Professor in the Department of Anthropology and Archaeology at the University of Calgary, Canada. She is co-editor of the Journal of Anthropological Archaeology and an associate editor for the International Journal of Paleopathology. She has been published extensively, having co-edited seven contributed books and authored or co-authored over seventy journal articles and book chapters. Anne L. Grauer, Ph.D., is Professor and Chair in the Department of Anthropology at Loyola University Chicago, USA. She is the editor-in-chief of the International Journal of Paleopathology, the editor of A Companion to Paleopathology (Wiley Blackwell, 2012) and numerous articles and book chapters, and is the president of the American Association of Physical Anthropology (2019-2021).